The first suggestion we make is to read what we said last year about the month of Adar. What will be said this year will build on what we said last year and the year before. Below is the link to last year's Blog about Adar. Please press your back button to return to this location after you read last year's Blog. Name: Adar Alef אדר א The meaning of Adar in Hebrew is glory and honor. The month of is a month of completion. It is also a month of "being in between." The month of Adar does not belong to winter and it is not yet spring. This is the energy of being "in between." This "in between" energy is actually central column energy. The month of Adar is beneficial for spiritual people. It is a month which is the birth and death anniversary for Moshe Rabeinu. This is also the month where Purim and Esther save the people. All of this relates to the energy of central column. We just have to start to perceive it this way. Attribute: Laughter and Playfulness צחוק שחוק Leetah Laughter and Playfulness melt what has grown cold and softens what has grown hard. This helps us to remember the joy of childhood. The negative side of this attribute is Laughing at someone or playing a joke that hurts someone. Laughter and Playfulness is a path to the world that is coming. It is from this teaching of the Talmud that teaches that someone who has a north node in Pisces is potentially the last incarnation for that soul. To paraphrase the Zohar: Without joy and playfulness and laughter there would be no wisdom in the world. The Talmud is filled with jesting and play among the Sages. Laughter is actually an exchange of Chesed for Gevurah and vice a versa. There is much to be learned from this truth. How does judgment replace Chesed or Vice Versa? When you begin to understand this you balance your life. Ancient Tribal Connection: Benjamin בנימין BenJamin translates as son of my right hand. It is a true meaning name given by Jacob to change the name given to him by Rachel as she dies. Jacob felt that Rachel is like his right hand. That is the meaning of his Name. The Tribe of Benjamin has both attributes from the Name Rachel gave and the name Jacob gave. In the book of Judges, the Tribe of Benjamin took on attributes and customs of the negative Nations around them. Thus there was a significant battle between them and the 11 other Tribes. It was only through this cleansing (almost wiping out the Tribe of Benjamin) that that the negative attributes became removed from the Nation. That is why Benjamin was included in the southern Kingdom. Tribal Totem Wolf זאב The wolf has the attribute of nurturing. Other attributes are loyalty and individuality. The wolf sings to the moon and changes its songs for each phase of the moon. The wolf fluctuates between spending time with the pack and wandering off to be alone. The Tribe of Benjamin follows this pattern. Sometimes it is included in the 12 Tribes and other times goes its own way. As the youngest of the Children of Israel very little is known about Benjamin. Except everyone dotes on the baby of the family. Tribal Stone: Jasper ישפה This stone has the quality of helping with calmness and communication. This stone is also known to strengthen vision and help with digestive problems and it also helps with a woman during labor. The Jasper stone will lower passion and sexual desire; while it helps with blood flow and lowering blood pressure. Tribal Herb: Cinnamon קינמון Kinanmon The name of this herb translates as "acquire much." 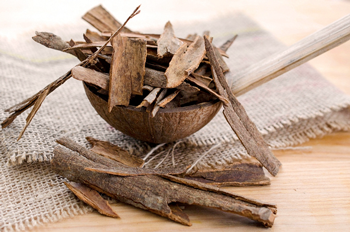 Cinnamon is one of the 11 components of the incense. It acquires much by absorbing the other components of the incense and adds to them by blending all together. Recently science has indicated that Cinnamon will balance the sugar levels in Diabetics. House: House of Opposition Some see this as the House of Enmity but in Adar it acts as opposition in many different levels. בית האיבה Some of these opposites are as follows: winter transitioning into spring. During Adar we transition solemnity into joy. In the story of Purim Haman starts out as appearing to be the winner and then transitioning into the opposite of a winner. Adar is the not the energy of struggle as would be in the translation as enmity but dancing with opposites; transforming opposites like the idea of transforming doubt into certainty through the dance of life. Zodiac Sign: = Fishes דגים Dagim Fish is an animal that lives its whole life in the Joy of Life which is surrounded by water and its principle of Joy. See below for more information. Tribal Flag: Blend of all colors with the emblem of a wolf צילוב כל הצבאים Tziluv Kol HaTzevaEim. Tribal Direction: West מערב MaArav MaArav can be translated as "from the evening." This relates to the idea of Sefirah of Malchut dealing with Manifestation. This month connects with the energy of blending as associated with all 12 permutations of the Tetragrammaton. In Hebrew, Pisces is called Dagim, which means “fishes.” Please make a note the word is in the plural. There is more than one fish. We will discuss this below. 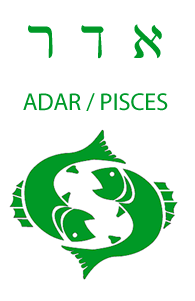 The letters of this word Dag (fish) refer to a uniquely Piscean concept: Gomel Dalim, meaning “help the poor.” One of the problems faced by Pisceans and the energy influence on all of us during Adar is their Desire to Receive, or the lack thereof. Pisceans are satisfied with what they have and who they are. If and when they do have a desire for something more, or for something difficult to obtain, Pisceans may sometimes lack the spiritual wherewithal to fight for it. More than any other sign, Pisceans know that in the end, everything will be fine. They are well aware that everything in this world is an illusion—that everything has already been decided, and that the suffering of this world is only temporary. So why struggle? After all, life is only a game, and the dice have already been cast. This passive, reactive perception of the world often condemns Pisceans to a complacent life, like fish in an aquarium—one in which all their needs are met. But Pisceans have not been put on this earth to simply sit back and let things happen. They need to be reminded that their reason for being here is to manifest the Light, and that without action, no Light can be revealed. 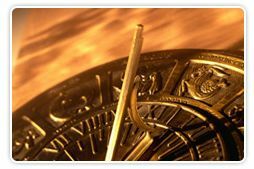 One of the reasons that the Piscean feels this comfort level and acts in a passive way is that they have been through many previous lifetimes - generally more than when they are one of the other signs. This lifetime is generally considered the opportunity to complete their tikune. The life lessons from their earlier lives and the other signs having been learned lead them to realize that this world is a world of truth and perfect justice. Therefore they will decide that HaShem knows best. Why try to change the mind of HaShem since what is happening in their lives is perfectly just. How can they know better than HaShem? Yet that is the lesson that they must learn. To strive for the knowledge to be like HaShem and know better than He. Just as a father takes pride in his children when they out perform him, HaShem wants us, His Children, to outperform him even if that is impossible, it is important to strive for that goal. While this influence is more prevalent on the person born in Pisces, it has various influences on all of us during the month. We must be aware of this and strive against this complacency. When we do strive against this complacency the effect is an increase in Joy. As our Sages say, "When Adar comes in Joy increases." This astrological influence manifested during Adar is teaching the importance of action, meaning manifestation, during this Month. So what is it we are supposed to manifest? Ultimately our personal desire to receive! The Creator created each one of us to reveal something unique. That is our personal desire to receive. That is what we are to manifest. In the process of discovering what that is we build our vessel to reveal more of the light of the Creator. That is why the energy of Mashiach was manifested during the actions depicted during the story of Purim. This story took 14 years. During that time the unity of the Jewish Nation was paramount. This is why the energy of Mashiach manifested. Yet Mashiach did not manifest, and the answer for why not, is simple. Not every soul was on the earth in that generation. When every soul is on the earth, and each one is manifesting his desire to receive in order to share, and we are in unity because we appreciate the diversity of these desires, Mashiach will no longer be coming, He will be here. The energy of Mashiach did manifest during Purim. That Light is what allowed the Jewish Iranians to leave Iran with their wealth intact. This is the only time that Jews were driven out of a country and were able to take their wealth with them. There has to be an explanation for this and the modern Kabbalists teach that Purim and the residual Light is the cause. This is the influence of Adar and Pisces on all of us. Be aware that in manifesting your personal desire you need to be aware of the desire and needs of all of the other people. It is only when you are aware of the desires and needs of others that you are able to manifest your desires for them. After all, when you sense a lack that someone else has that lack is your mirror suggesting that you also have this lack. Since you have this lack you can manifest it for the other person. This is desire to receive in order to share. This is the lesson for all of us during Adar. Let me give you an example of this working in our world right now. I want peace. I want personal peace. I want peace in my home, in my city, country and ultimately peace in the world. How can i achieve peace when those fanatics, those suicide bombers are trying to kill me to influence the world to follow their lead towards power and destruction. This seems to be mutually exclusive. The answer is to search for truth amidst the lies, one person at a time. When the veil of deceit is lifted the suicide bomber will realize that destroying me he destroys himself. He will realize that he is part of the lost Tribes of Israel and know that the Land belongs to he and i together. When we work together we will achieve the true revelation of our true desires and thereby reveal God in the physical world. This is the energy available in Adar. This is why the Sages have told us, "When Adar enters, (the potential for) Joy increases." Joy is only available when our desires are fulfilled. This is the energy of Adar. Letters for control of the month of Adar אדר are the Koof ק and the Gimmel ג. See below for these letters and also the permutation of the Tetragrammaton. These assist you to take and keep control of the Astrological influences for the month. Since the month of Adar is considered the final month of the year, it is recommended to utilize all 12 permutations of the Tetragrammaton (see below) for control of all aspects of the Sefirah of Malchut which has no light of its own but is connected to all of the other months by virtue of it being Malchut. The Sefirah of Malchut is the only Sefirah where desires actually manifest. In order to manifest Malchut must receive the fulfillment from all of the other Sefirot. Now reread this paragraph and substitute the word month for Sefirah and know that the month of Malchut is Adar, since it is the last month of the year. It is recommended to scan all 12 Permutations during Rosh Chodesh of the month of Adar. The word Adar, in Hebrew, means a garment. It also is a verb meaning to glorify. The highest form of glorification of the Creator is to become joyful . It is taught in Kabbalah, when the month of Adar enters so does joy increase. This year Rosh Chodesh Adar starts Monday Evening February 4 and concludes Wednesday Evening February 6 2019. There are 2 days of Rosh Chodesh. Please note that during Nissan (the next month) there are unique rituals the first 15 days that are extremely beneficial to utilize and perform. Actually, the next month this year being a leap year is still Adar. This is truly an interesting aspect that we will discuss next month on Rosh Chodesh. Also, please note, the self evaluation in preparation for the Holiday of Passover (Pesach) begins immediately after the Holiday of Purim in Adar. Remember Spring Cleaning is not about making yourself crazy with physical cleaning. It is about removing your ego so that you can get closer to God. That can be done by physical cleaning with the consciousness that this action is cleansing me spiritually. Now, let's look at the permutation of the Tetragrammaton for the month of Adar and what we can learn. In this permutation, three of the four letters are in a different position than normal. The upper Hey is the only letter that is in its regular position. This Hey represents the level of Mind but it is not receiving its normal level of light that the Yood in the higher position represents. As such Adar is not a month dealing with higher mind or logic consciousness. Our minds and logic is not the best tool to be using during Adar. (It is more difficult to be happy when we intellectualize). The Hey in the highest position indicates a strong connection to our intuition and that is probably the best tool we have to use during the month of Adar. The Yood representing the smallest letter being in the level that relates to emotion, indicates that it is not a good time to change emotions. It is best to Just Be Happy and remain Happy. Many people do not think that they can control their emotions. They are wrong. Using the Hebrew letters allows us to maintain the connection to the emotion of Joy. It is best to grow our connection to the Creator. The tool that works this best is "to be happy" and connecting to Joy or Simcha which is the Hebrew word. This may be the reason that the Sages teach us when Adar comes in Joy increases. As we learn in Kabbalah experience creates knowledge within us. Knowing that HaShem is Good allows us to remain joyful. The more we contemplate this truth during Adar the better prepared we will be for the month of Nissan where we break out of our self imposed limitations. The Holiday of Purim is the energy of Mashiach and that energy is CERTAINTY THAT HASHEM IS GOOD! There are three levels of CERTAINTY. The highest being experiencing the knowledge that everything will manifest as you expect and only for the Good. A lower level of CERTAINTY is to allow some doubts to enter your mind yet still move forward with your actions to manifest the Good in your life and the lives of others. The lowest level is to hope that things will be good by seeing the "glass half full instead of half empty. The choice of which level you will reach during the month of ADAR is yours. The gematria of the word ADAR אדר is 205.We can substitute a Hey ה for the letters Aleph א and Dalet ד. This is because the gematria of Aleph is 1; the gematria of dalet is 4 and 1 + 4 = 5 which is the gematria of the Hey. This leaves us with the word Har הר which means mountain. In the Torah the word Har is used to refer to Mount Sinai. This has the meaning of the revelation of the light of God or the fulfillment of everyone's desire to receive. Another word with that same gematria is "Vetzadakah" וצדקה. This word means "And the Righteous." The Astrological sign of the Dagim - fishes relates to the idea of the Righteous as the Kabbalists teach that Righteous people reincarnate as fishes (if they need to have any physical lives) so that they are always surrounded by water which is the energy of loving kindness or Chesed. This is one reason that the Kabbalists elevate the soul of the Righteous person who comes to their table within the fish on Shabbat. To assist this process they do not drink while eating the fish and only use liquor and a meditation at the end of the fish dish to culminate that process. In exchange the Tzadik (Righteous) soul assists the people who consume him until he actually elevates to the next higher realm of existence. The first energy day in Adar is Rosh Chodesh. 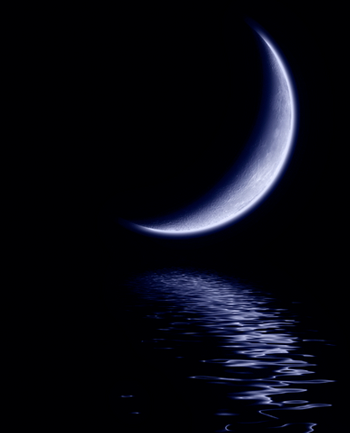 This year there are 2 days of Rosh Chodesh. This happens when the time of the New Moon occurs sometime during the day. This means that the energy of the New Moon is not complete. 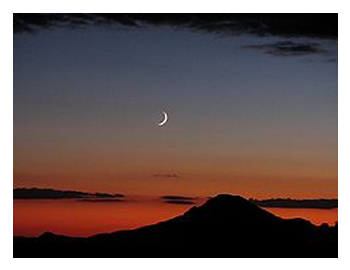 There is not 24 hours of the New Moon energy, during the first day of Rosh Chodesh. That is why there are two days of Rosh Chodesh for some months. This year Adar will have two days of Rosh Chodesh. We will be having an on line connection at 7:00 PM (West Coast time) Tuesday Evening February 4th 2019. The phone number is 1-605-475-6333, the code is 911904#. There is also an video conference for those who have that connection capability. This needs to be set up at least 2 days in advance. Please consider doing it as soon as possible to join in other events that we will be doing together during Adar, or for Rosh Chodesh Nissan (see below). Don't wait until it is too late to participate in these ways. 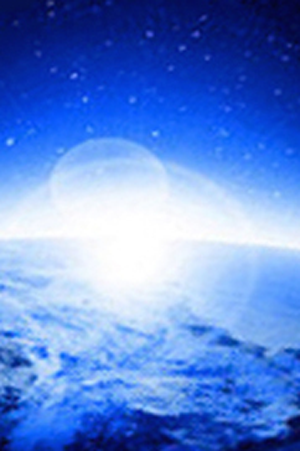 The next energy day is the 7th of Adar. This is the Hilulah (Day of elevation or Death Anniversary) for Moshe Rabeinu. It is also his birthday. In Adar Alef we celebrate the Birthday. We will have a connection Monday Evening February 11, 2019 at 7:00 PM (West Coast time). Please see above for the information regarding the phone call and the Internet video conference. There is another energy day during the month of Adar II. This day is called the Fast of Esther. It is a sunrise to sunset Fast. This year it happens on the 20th of March 2019 which is the 13th day of Adar II this year of 5779. Many people teach that the Fast of Esther is done to help celebrate the Holiday of Purim. After all, the scroll of Esther (which tells the story of Purim) describes a 3 day Fast which Esther requested of the Jewish people in those days. Kabbalah teaches that there is never an action done due to history. All of the actions done around our Holidays is done to increase our connection to energy. We will discuss the reason why there is a Fast of Esther below after we understand the Energy of the Holiday of Purim. On Wednesday evening March 20th 2019 we end our fast of Esther ONLY after hearing the reading of the Scroll of Esther. The scroll of Esther is actually called Megillat Esther. When we look at the shoreshim, the roots of the words Megillat and Esther we find that this phrase means the Revelation of the Concealed. The name of the Holiday is Purim which means "lots." What is a lot and what is the plural meaning of Lots? To understand the meaning, the energy of Purim we need to understand the meaning of Lots. The word lot is referring to the rolling of dice. The midrash is that the infamous villain Haman, rolled dice to determine the best astrological day to kill the Jews. That day turned out to be the 14th day of Adar, according to Astrological rules and chance. The true purpose of the reading of the Megillah is to connect to the energy of Certainty and to protect ourselves from falling to the energy of doubt. In order to connect to certainty and avoid doubt it is necessary for people to reveal the concealed. HaShem is concealed in our world. He must be revealed by our actions. The name of HaShem does not appear in the Scroll of Esther. When we read the surface level of the Scroll and KNOW that HaShem was active in all aspects of the miracle of Purim, both the mundane, and the Holy aspects, we connect to the energy of certainty. The fast of Esther is a spiritual cleansing in preparation to receive this energy of certainty that we get from the reading of the scroll. That is why we do not end the fast until after the reading of the Scroll. It is a minhag - a custom to dress in costumes during the reading. What is the connection to a costume and the Holiday of Purim? Essentially it relates to Revealing the Concealed. Where was HaShem during the events. Where is HaShem in our lives. HaShem is concealed. HaShem is in costume. So we emulate HaShem and become someone or something that can be revealed just as we hope HaShem will reveal himself and manifest Mashiach in our lives, in our time, and in our world. There is also a minhag - a custom to drink and become intoxicated on Purim, because we are supposed to reach an elevated state of consciousness where we can not tell the difference between the two phrases Bless Haman and Curse Mordechai. NO, I DID NOT WRITE THAT INCORRECTLY! This elevated state of consciousness is one where we are able to see that curses or negativity is also a tool of HaShem. It is part of the plan of Creation that negativity exist and be utilized by mankind. Not to harm but to benefit. I bless you and curse you with this consciousness so that you will understand this paragraph on Purim. Here is a hint. A blessing uses words. A curse uses words. What is the difference? CONSCIOUSNESS! Mordechai the hero and Haman the villain are both tools of the Creator. There is another minhag that is different for the Kabbalists than for almost all of the rest of the Jewish Nation. In most synagogues the children and adults bring groggers to make noise and drown out the Name of Haman. In Kabbalistic synagogues there is absolute quiet when Haman's name is read. Instead each person is meditating on the 8th of the 72 names of God. This is the word Caf Hey Tav כהת. This name acts like a narrow focused beam of Light, like a laser, that destroys negativity. Haman is demolished by this meditation. After all, Haman is a descendant of the nation of Amalek. There are 5 Mitzvot connected to the Holiday of Purim. 1. Hear the Scroll read twice - once in the evening after a day fast and once in the morning on the day of the Holiday. We will be reading the Megillah (Scroll) at both times. The times will be Wednesday March 20 2019 at 7 PM West Coast Time and Thursday March 21 2019 at 10 AM West Coast Time. We will also have Purim Scroll Readings for Shushan Purim on Thursday night March 2 2019 at 7 PM West Coast Time. 2. We need to "Give Gifts to the Poor." This is a very special Mitzvah, in my opinion. What is the idea of Gifts to the Poor? The poor person is all of us who have lack. We only give gifts to people we consider our equal which is who we consider our friends. To give gifts to the poor is demonstrating the consciousness of equality of people. Do you consider yourself greater than someone else? Do you consider yourself lower than someone else? What does it mean to be equal to another person? Have you reached this level of consciousness? Are you able to understand the idea of Gifts to the Poor? 3. We need to celebrate the Holiday with a festive meal. 4. At this festive meal we also give gifts of food. This is unusual in that the foods must be of two different types, and this giving is done through a channel. It means one person gives to another by asking a third to be the delivery person. This creates a circuit of energy consisting of the basic pattern of our creation. The tree of Life using Kabbalistic language or the atom using scientific language. The basic pattern of creation is 3 components, as follows: A sharing person, a receiving person, and a third person who balances the two by being the intermediary between the two. This mitzvah is very important and it is important to understand what it truly teaches us. 5. The giving of the 1/2 Shekel for the upkeep of the Temple. Most people think that this Mitzvah does not need to be done since the Temple is destroyed. Yet it does need to be done since the giving of the 1/2 Shekel does much more than keep the Temple repaired. We have to realize that the Temple does not wear out just like our clothing and shoes did not wear out while walking in the desert. The meaning behind this action is our certainty in being able to use Mind Over Matter. This is implemented when we unify all of the worlds by living the consciousness of certainty in control of our physical world. The Kavenah when we do this action is truly important. The ritual according to the Kabbalists is to elevate 5 silver coins from the Table representing Malchut and the world of action to the level of our eyes representing the world of Atzilut. Please do this action at your home or synagogue and have the Kavenah of unifying all of the worlds so that we can reveal the Light of God in our physical world. That is how we reveal the concealed. Then make a donation to a truly poor person. I suggest yeshshem@hotmail.com as a truly poor person. The Tribe for the month of Adar is the Tribe of Naphtali. Nissan Day 12 - Tribe of Naphtali. I suggest you spend some time during this month checking out the attributes of the name Naphtali and the Name of the Nasi who gave the dedication and his consciousness of why he gave what he gave. Remember not all of these attributes are positive and with the tool of "Binding by Striking" we can correct them and transform them into positive aspects. Here are strategies to adopt for this month of Adar that will help keep you in balance. Our sages teach that when Adar comes in Joy increases. Remember this important fact: Just because the energy of Joy increases does not mean you connect to it. You have to create methods that increase YOUR joy. Knowing what gives you pleasure is a first step in creating more joy in your life. Once you identify what you enjoy, then make and keep those plans during this month. The actual mechanism to increase joy is to make sure that other people receive the things or energy that gives you joy. When you are the channel for their joy that energy increases in your life. Let me explain this more clearly. Let's say what you desire is to have a baby or strengthen your relationship or even find the person you are to marry. The best way for that to happen in your life is when you pray for someone else in the same situation to receive their fulfillment. The way the universe works is if you pray for someone else to be fulfilled, then you become fulfilled. Yes, it is a paradox. Try it and see that it works. Ask yourself what separates YOU from the Creator? It is our selfish desires or our ego? Once you identify these things you can choose to change them and become closer to the Creator. We know that the closer we are to the Creator the greater our pleasure and the less chaotic our lives. 3) Why do we not maintain Joy and Happiness in our life? We can be constantly happy although it is difficult to maintain this connection. Why? It is because we lack the certainty that we can always be happy. Work on this connection to certainty not only during Adar but all year long. What is our personal Amalek? It is the still voice that says we do not deserve this joy. It is the internal voice that says what right do we have to be happy. It is all that internal mental discussion we have with ourselves that makes us think less of ourselves. Tzedakah saves one from death. It helps us remove limitation in our life. When we go outside of our comfort zone we are actually building our vessel to receive more from the Light, more joy, more happiness, and more fulfillment. What does it mean to go outside our comfort zone? Our comfort zone is what we are used to doing. It is what we find comfortable. It is what we usually spend our time doing. When was the last time you asked yourself IN WHAT WAYS CAN I SHARE MORE? How about going to visit someone i do not know who finds themselves in the Hospital. Is that within my comfort zone? Or is it outside of my comfort zone? There are many other ways to go outside your comfort zone - look for them in Adar. Make it a habit to look for ways all year long to go outside your comfort zone. The more we engage in the pursuit of happiness to fill our own desires, the more elusive joy will be. Likewise, the more we dedicate ourselves to bringing happiness to others, the more joy will rain down upon us from the heavens above. This is the paradoxical power of Adar. This is why the astrological influence is called Dagim - Fishes (in the plural). This month, focus on bringing happiness to others so that you will receive happiness yourself. This is the most important rule to practice during Adar and also during the balance of the new year that starts in Nissan. If your lunar north node is in the Zodiac sign of Pisces, your Tikune is in Pisces. The tikune in Pisces is transforming from seeing the world through physical senses to recognizing and acting upon your spiritual senses. Why do you need to do that? After all, for centuries people have been taught that what they see is the cause of things and even then they do not understand why things seem to happen to them, they normally survive and eventually thrive again. Yet that is not the point or the process. If you throw a baseball at a window, the window will break. True or False? Take a video of the flight of the ball and you will see that the window starts to break a moment before the ball strikes the window. What is it we learn from this? Nothing happens in our world that has a physical cause. The cause of everything that happens in the physical world has a spiritual cause. This is the tikune of the Piscean and this is the influence of everyone during the month of Pisces. This is why the Holiday of Purim, which gives us the opportunity to "see" the spiritual cause behind the story of Purim and to "see" the ultimate spiritual cause of everything, which is HASHEM, is read during the month of Pisces - Adar. During Adar look for the concealed. Look for the actual cause, the spiritual cause. The person born in Pisces is given psychic abilities so that they will be able to see the spiritual causes. During Adar all of us will find it easier to see these spiritual causes, even without our psychic abilities being active. Three people were waiting at the gates of Heaven (Shamayim in Hebrew). The first one was a Talmid Chacham - a student of Torah. He was told that he would have to wait while the Court of Angels reviewed his Torah study to determine if he had brought out anything new in Torah during his lifetime. The second one was a Tzadik, a Righteous person. He also was told that he would have to wait while his deeds were reviewed to see that he had never hurt someone with his Righteous actions. The third one was an innkeeper. He was told to go right on into Shamayim. After the other two were allowed to enter Shamayim they asked why the innkeeper was let in first. They were told that even though the action of being an innkeeper was how he earned his living, his job was actually providing Chesed (Loving Kindness) for all of the Travelers who needed a safe place while traveling on the road. It also helped that a few times when the traveler could not afford to pay the full price for the room for that night, he let them stay for free. This story truly is teaching the lessons of the influence of Adar. LOOK for HASHEM! Look for the ultimate cause of things! Do additional acts of Chesed like fasting, like giving charity, like visiting the sick, like smiling at someone you pass on the street, like adding to someone else's joy and happiness. Don't look at what you get from these actions in the physical world because the purpose of life is to be Happy where ever you are, when ever you are. Have a wonderful JOYFUL month of Adar. You can see Mashiach in every person you meet, because every person you meet is an opportunity to bring Mashiach through GOOD DEEDS and ACTS OF CHESED. You are Mashiach for every person to whom you bring joy and happiness. Thank you Mashiach!